Box Components One 7-speed drivetrain. 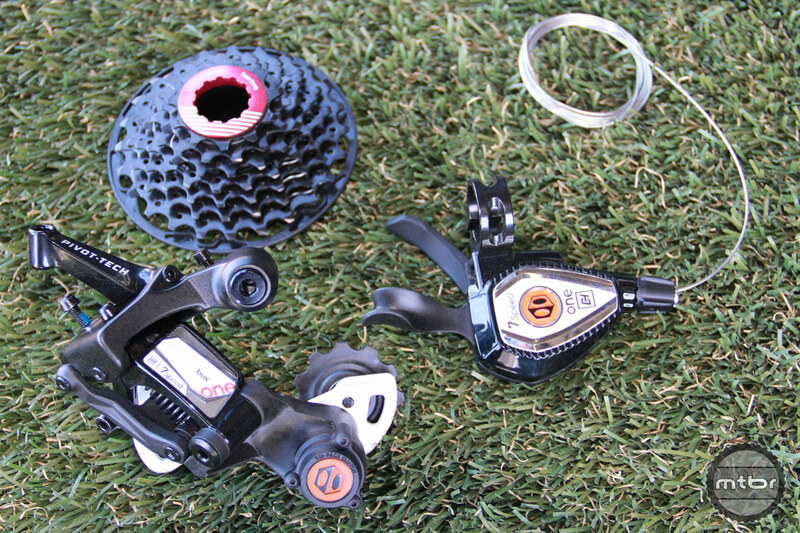 Box Components has redesigned and expanded its drivetrain offerings. Options coming soon will include 11-speed, 9-speed e-bike specific, and 7-speed DH. The Box Components follow tiered descriptors. Top-tier is Hex-lab, next is One, and then Two and so on. In this case, lower range items are still very high end. The only item presently available for MTB in Hex-lab is a chain. Box Components follows a tiered product naming system. Box’s shifter goes back to a double paddle design, with a push action lower lever and push/pull top lever that’s similar to a Shimano shifter. They are available in One and Two tiers, with the One having single-piece cast lever and coated shifter cable, whereas the Two has a fiber lever and uncoated cable. Prices are $70 and $45 respectively. New Box Shifters cover 1×7, 1×11, 2×11, and 2×9 gearing options. Finally, derailleurs are available in two tiers, both with a forged head and top link for durability, and a redesigned serviceable tri-pack clutch. The One tier model also has an adjustable clutch. 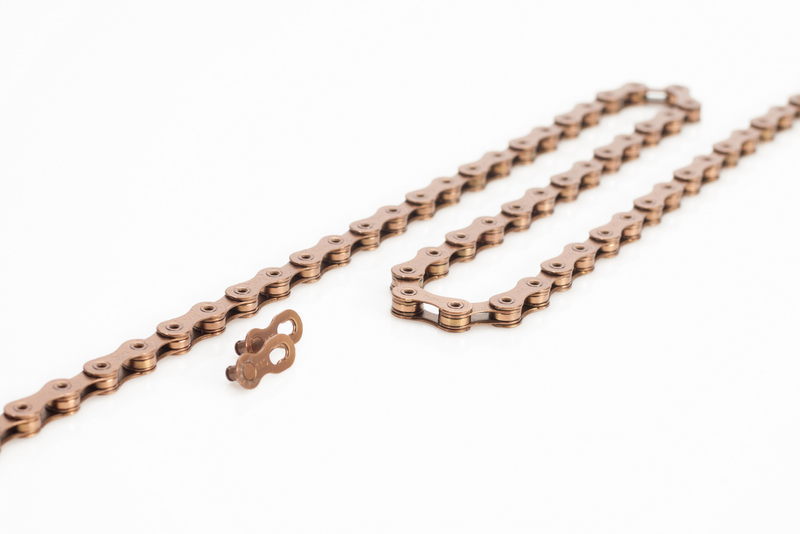 Chains are available in three tiers, Hex-lab, One, and Two. Prices are $80, $40 and $25. They are available in two arm lengths based on the cassette range they support: wide (11-46) and extra-wide (11-50). The 7-speed derailleur has a short cage, supporting 11-24. 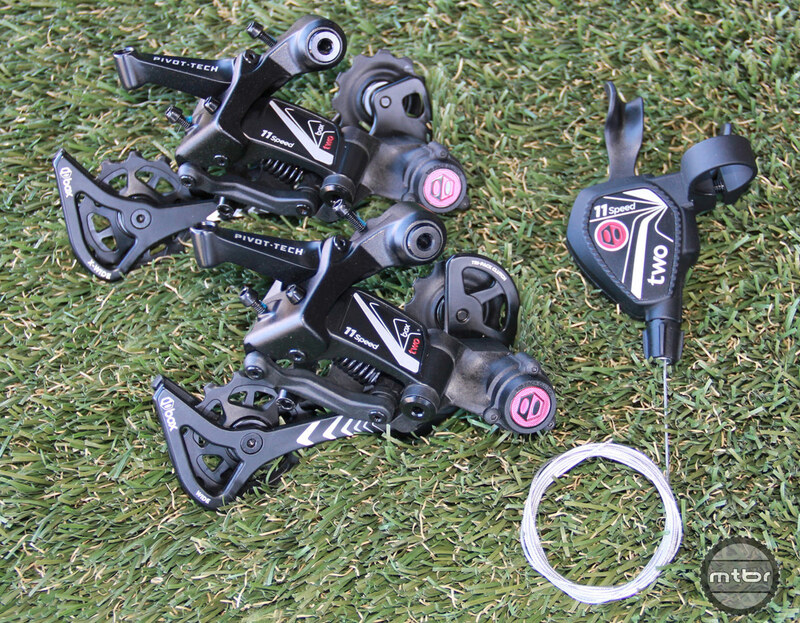 Tier One derailleurs are $175, while tier Two come in at $110. The Box Components Two 11-speed shifter and derailleurs, with the X-Wide cage shown above and Wide below. For more information, visit www.boxcomponents.com. This article is part of Mtbr’s coverage of the 2018 Sea Otter Classic in Monterey, California. For more from Sea Otter CLICK HERE. Chains are available in three theirs, Hex-lab, One and Two. Prices are $80, $40 and $25. Box Components Two 11-speed shifter and derailleurs, X-Wide cage shown above, Wide below. can’t they make one derailleur that fits all? you have 11 speeds on your shifter, ok. You have a 7 speed cassette. Stoppers on the derailleur will prevent the derailleur from shifting any further and from farther movement of shifter lever. My Point…you only need the 11 speed derailleur and shifter without the others unless you might worry shaving off a few grams of weight by the smaller, shorter derailleur.